Probably there is not anything more irritating on a cold autumn morning than waking up to freezing house, especially you expect that your furnace is operating properly. Your home is not only uncomfortable but also regarding the weather it can put your home on the line for bursting water pipes, mold, and other problems. Some homeowners get a shock when they find the heating does not operate as they expect. 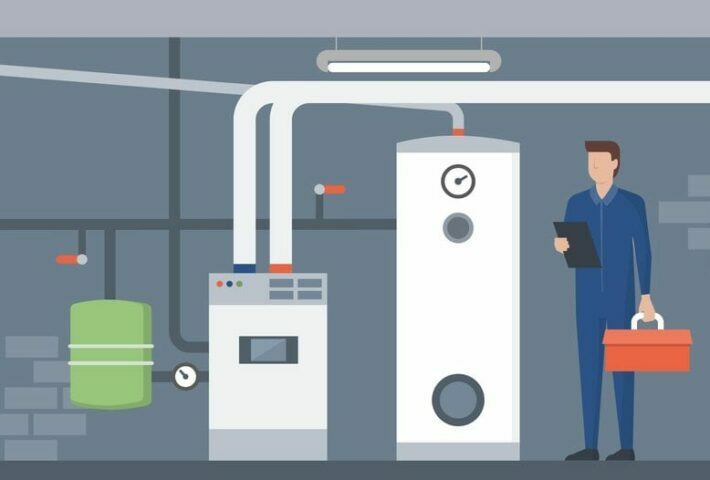 Some common gas furnace problems may leave you to get in a quandary as you try to see where the problem stems from and can lead to getting help from professionals. There can be a lot of potential reasons that a furnace is not running. However, many of the common gas furnace problems are as easy and as quick as pressing a button. The most common gas furnace problems associated with the burners may come from contamination. You will have to check the burners to ensure they are free from dust and debris. You would like to assure the burners are clean and one way to do it is to look at the flames. Are they blue or even? If they are blue, the burners are probably clean. If they are yellow, it means the burners are dirty. You can clean the burners by using a vacuum cleaner. First of all, ensure that you turned the gas and the power off. Another place you have to clean with a vacuum cleaner is around the blower. The burner can accumulate dust and debris during the summer. That’s why it is essential to inspect and clean the furnace burners before cold winter months. A combination of soot and condensation can be a reason for the burners to operate improperly and can cause other common gas furnace problems as well. You should clean the burners annually. If the current one is in poor condition, it has to be replaced. 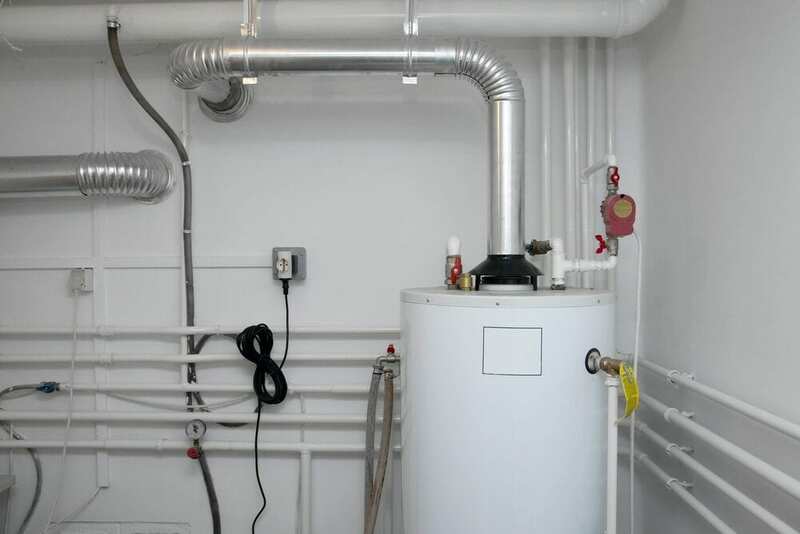 While you prepare the furnace for freezing winter days, it is crucial to ensure all the parts of the heating system are clean and operating order. The primary function of the furnace blower is to draw heat from the furnace and deliver it throughout the home. Lubricating the furnace blower will prolong the lifetime of the furnace. If not, common gas furnace problems are going to appear. We have shared seven detailed and easy steps to lubricate a blower motor. Step 1 – Make sure that you have turned off the circuit breaker which appears at the main electrical panel providing the power for the furnace. Step 2 – Remove the access panel of the furnace by using a screwdriver. Step 3 – The blower motor assembly should be located near the base of the furnace. Remove the bolts fastening the blower motor to the furnace’s primary assembly with a wrench. Step 4 – Find the set screw next to the blower motor housing. Remove the bolts and take the motor from the housing. Step 5 – Find the oil ports on the motor and shaft. Step 6 – Drip two or three drops into each port. Step 7 – Activate the furnace. Blower motor should operate better with the new oil. The furnace blower motor has an important role in the functioning of the heating system. You should oil it once a year, or it will make unusual sounds when it starts. A bad limit switch can be a reason for the blower running constantly, and in the end, it will significantly shorten the lifetime of the blower. Replacing the limit switch will be the quickest solution for these common gas furnace problems. The furnace will not fire if the high limit switch is bad. When high limit switch trips, the flame element is going to be shut off, and the blower is going to continue to operate to clear the heat. The blower continues to work until either you reset the system, or the limit switch closes. Limit switches are usually closed, and they always fail open. It means that when it goes bad, or the temperature gets too high, they open the circuit. If the circuit is open, you would like to change the limit switch. Gas furnace operation may work with a pilot light or have electronic control that removes the need for a permanent flame. 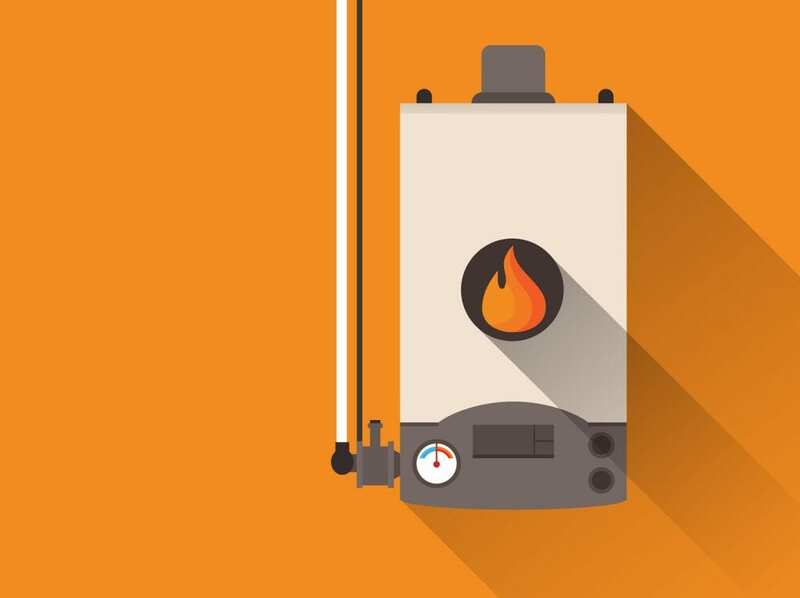 A broken ignition system which is found on the furnaces with a thermocouple can considerably decrease the furnace ability to heat the house properly. Drafts or clogs will end up the pilot light going out. A lot of modern systems have an electrical ignition instead of standing pilot light. Step 1 – Turn off the furnace power switch and back on. You may reset the ignition. Step 2 – Turn the power and gas off to the furnace to let the heating element inspect. Step 3 – With the manual in hand for the furnace, follow the instructions recommended by the manufacturer to troubleshoot operation. Skipping steps or safety procedures can result in damage to the system during this task. Step 4 – If it does not work, get professional help. If a furnace turns on and off repeatedly, there can be many reasons. As always, you should check the worn-out or dirty filter. If you have not changed or cleaned it recently, you have to do, it does not take a long time, and it is easy. When should you call a professional? – If a new filter is not a solution to the problem, probably there are some serious issues in the furnace. The issue can relate to the blower motor and belts, and both of them demand professional service. Pay attention to the furnace, the inspection window, to make sure that the blower is not blocked by dirt and there is no debris. Look into the manual to be sure. The green light is okay. If it is read, as soon as possible call HVAC service, if you do not see the light, the problem can associate with the blower motor, the thermostat, run capacitor, furnace transformer or control board. Decrease the temperature to see whether it solves the problem. A gas furnace blower which does not shut off can be a sign of issues with a broken limit control switch. It can need for reset or replacement. Hearing rattles, squeaking and rumbling is one of the common gas furnace problems. These noises may point out a mechanical issue, a clogged burner or airflow reductions. Sometimes your furnace operates well, but in a loud way. If you think the sound is a result of the air running through the air ductwork, insulating the ductwork can cut down on the noise. If the current furnace system makes odd noises, it can happen when you do not adjust the pilot light properly. My Furnace is Leaking Water – What do I do? 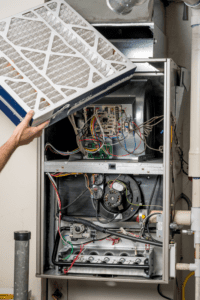 Furnace issues – What should you check first?